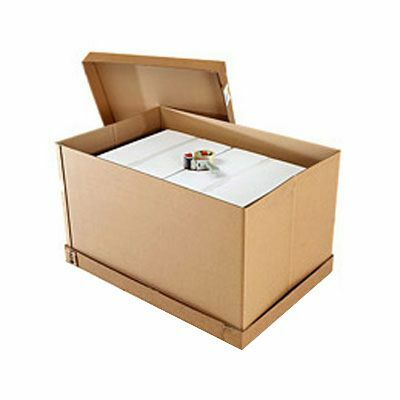 These clever cap and sleeve shipping boxes are strong, spacious, easy to use and sized to fit standard pallets. 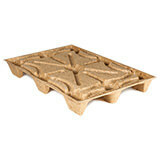 Supplied from stock in four sizes, they’ve been made from double wall rigid board to provide reliable strength. And once they’ve been used, it’s easy to pack them away to be used again another day! Just place your product on to the tray – which, if you’re packing something big and heavy, is a lot easier than lowering it into a standard cardboard box! – slide the sleeve over and place the cap on top! 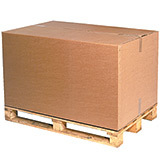 The complete carton can then be securely fastened with staples and strapping. And, for even greater convenience, our cap and sleeve shipping boxes can also be bought with standard and heat treated wooden pallets for a complete bulk shipping or export solution. Great value – but save more with our quantity discounts!